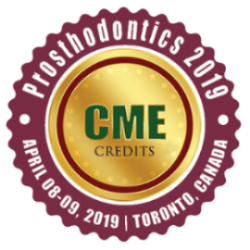 It's an honor to welcome you to the official website of "4thInternational Conference on prosthodontics & Restorative dentistry" which is going to be held in Toronto, Canada during April 8-9, 2019. The theme of this year's meeting is "Promulgating latest innovations & applications in the field of Dentistry" which will provide an international platform for discussion of present and future challenges in dental health, dental education, continuing education and expertise meeting. 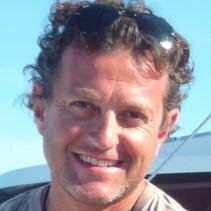 World-leading health practitioners, clinicians, educators, and researchers will present cutting-edge and practical clinical techniques based upon widely accepted evidence and will introduce new and emerging research. The latest techniques, developments, and the latest updates in Dental Health and Dental Practice are hallmarks of this conference. It is a learning, sharing and networking platform for Dentists, Dental Hygienists, Oral Hygienists, Dental Assistants, Dental Practice Managers, Dental Marketing Managers, Dentist / Practice Owners, Office Managers, Marketing Executives, Group Practice Executives and other members of the dental team about Dentistry and its advances. This is your best opportunity to reach the biggest assemblage of eminents from the Dental community. Conduct presentations/ workshops, distribute information, meet with current and potential doctors, make a splash with new developments, and receive name recognition at this 2-days event. CDE ensures that the dentists are provided with the latest diagnostic, preventive and treatment methods in the industry. Dentists who fail to keep pace may mean they're actually falling behind in the quality of dental care they provide. As an Oral Surgeon, these frequent changes challenge you to learn and adopt new ways to improve patient care. 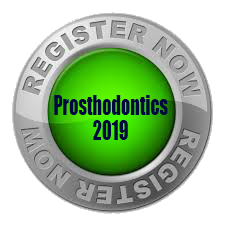 Prosthodontics 2019 Conference includes international attendee workshops, lectures and symposia, including a designated registration area, a refreshment break and gala lunch. Dentists can join the Prosthodontics 2019 as an international member to receive discounts on registration. So come and join leading experts and allied professionals from April 8-9, 2019 in Toronto to keep up with the rapidly accelerating pace of change that is already having an impact on the field of Dental & Oral Health, and will continue to in the future. Prosthodontics 2019welcome attendees from all leading dental clinics, dental universities, clinical research institutions and dental companies to share their research experiences on all aspects of this rapidly expanding stream and thereby, providing a showcase of the latest research and provide a better health care to the world. This is designed for practicing dentists, nurses, physicians in training and other oral healthcare professionals interested in the latest advances and techniques in the field. Another segment of participants is Dental researchers, Dental educators, Clinical organizations, Educational institutes, and Business leaders in the health sector worldwide. ADA CERP is a service of the American Dental Association to assist dental professionals in identifying quality providers of continuing dental education. It never approves or endorses individual courses or instructors, nor does it imply acceptance of credit hours by boards of dentistry. This continuing education activity has been planned and implemented according to the standards of the ADA continuing Education Program (ADA CERP) through joint efforts between ESOI and Conference Series LLC Ltd.
ConferenceSeries.com organizing Prosthodontics Conferences in 2019 in USA. We organize Dentistry meetings in the fields related to Dentistry like Pedodontics, Geriatrics, Prosthodontics, Restorative and Odontology. 32nd Asia Pacific Dental and Oral Health Congress, July 23-24, 2018 Sydney, Australia; 27th American Dental Congress, December 07-08, 2018 Chicago, USA; 31st International Conference on Dentistry & Oral Care, May 18-19, 2018 Osaka, Japan; 23rd International Conference on Dentistry and Dental Materials, July 19-20, 2018, Rome, Italy; American Academy of Cosmetic Dentistry, April 18-21, Chicago; 21stAnnual World Dental Summit, February 26-28, 2018 Paris, France; 35th World Congress on Dentistry and Oral Health, July 09-10, 2018 Berlin, Germany; 29th Annual American Dentistry Congress, March 22-23, 2018 New York, USA. British Society of Medical and Dental Hypnosis (BSMDH), British Veterinary Dental Association (BVDA), Dental Hygienists Association of Australia(DHAA), Dental Laboratories Association (DLA), Dental Technicians Association (DTA), Egyptian Dental Association(EDA), European Academy of Esthetic Dentistry (EAED), European Dental Students Association (EDSA), European Federation of Periodontology (EFP), European Orthodontic Society (EOS), European Society for Oral Laser Applications (ESOLA), European Society of Endodontology(ESE). Oral surgeons specialises (oralsurgeons, prosthodontists, endodontists, orthodontists, periodontists, and pediatric dentists), oralsurgeons are consistently the highest earning specialists while periodontists are the lowest earning oral surgeons specialists. Among the five specialist types studied in this brief, a greater percentage of pediatric dentists work in oral surgeon’s service organization (DSO) affiliated practices while a lower percentage of periodontists work in DSO affiliated practices. Oral and maxillofacial pathology getting to be distinctly essential to all the world oral surgeons’ specialists. Oral and maxillofacial surgery is considered as private segment treatment in Italy, as just 4% of oral surgeons care is given inside the NHS. As indicated by a recent report (Servizio Studi ANDI) in view of ISTAT information, 39.7% Italians went to an oral surgeons specialist at any rate once per year, contrasted with 11.5% who never went by. Private oral surgeons’ consumption was evaluated in 2013 to be about €10 billion. It has been assessed that Oral surgeon’s administrations in Italy are given through a system of 56,000 oral surgeons’ practitioners and business research centers are dynamic, with 11,520 oral surgeons’ professionals working either as proprietors or representatives. In Italy, most oral surgeons’ practitioners who hone all alone or as little gatherings, outside healing centers or schools, and give an expansive scope of generic medications are said to be in "Private Practice”. It additionally gives the opportunity to analysts, experts and instructors to introduce and talk about the latest advancements, patterns, and concerns, reasonable difficulties encountered and the solutions adopted in the fields of Oral Health & Maxillofacial Surgery. 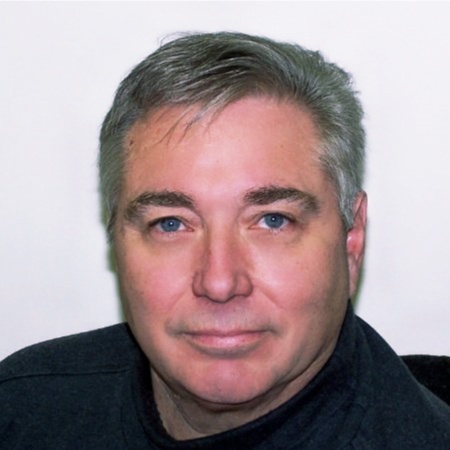 The presentations at this conference are international in scope and include the latest in incident response and prevention, vulnerability analysis, and related aspects of Dentistry and oral care. Additionally, these events serve as the foundation for the improvement of worldwide collaborations and interactions via the sharing of viewpoints, ideas, and information on dental science. The ADTA report clearly suggests that staff shifts and changes will force the design and construction of new practice/organizational models that have "insurgent" staffing concepts and dynamic cultures — if the dentist is willing to embrace the full spectrum of provider choices! With the rapid technological advancement, wide range of Oral and Maxillofacial Pathology techniques, and increase in the need of pathology automation. The oral pathology global market is expected to have a healthy growth rate in the forecast period (2012-2025).Oral health is essential to general health and quality of life. From past few years, the oral surgeons market is relatively stable, with substantial growth in restorative CADCAM dentistry. National oral surgeons care expenditures were $113.5 billion in 2014, somewhat up from $112 billion in 2013(in inflation-adjusted 2014 dollars) but roughly considered the same level .The global oral care/oral hygiene market is projected to reach USD 53.97 Billion by 2022 from USD 43.31 Billion in 2017, at a CAGR of 4.5%. The major players in the global oral care market are Colgate-Palmolive Company (U.S.), The Procter & Gamble Company (U.S.), Unilever plc (U.K.), Glaxosmithkline plc (U.K.), GC Corporation (Japan), Koninklijke Philips N.V. (Netherlands), Johnson & Johnson (U.S.), Lion Corporation (Japan), 3M Company (U.S.), Dr. Fresh LLC. (U.S.), Ivoclar Vivadent AG (Germany), Henkel KgaA (Germany), Jordan AS (Denmark), Panasonic Corporation (Japan), Sunstar Suisse S.A. (Switzerland), Church & Dwight Co., Inc. (U.S.), Dentaid (U.S.), Kao Corporation (Japan), LG Household & Health Care Ltd. (Japan), Dabur India Ltd. (India), Himalaya (India), Patanjali Ayurved Ltd. (India), Supersmile (U.S.) Ranir, LLC. (U.S.), Young Innovations, Inc. (U.S.), and Ultradent Products, Inc. (U.S.). The oral and maxillofacial pathology consumables market is expected to witness significant growth in the coming years. Factors such as the rapid rise in geriatric population, growing tourism in emerging markets, rising incidences of dental caries and other periodontal diseases, growing disposable incomes (resulting in increased willingness to spend out-of-pocket), rising demand for cosmetic dentistry, and increasing dental care expenditure are the major factors driving the growth of the global dental consumables market. The global dental consumables market is projected to reach USD 35.35 Billion by 2021 from USD 25.45 Billion in 2016, at a CAGR of 6.8% from 2016 to 2021. However the high cost and limited reimbursement for dental care and shortage of dental professionals are expected to restrain the growth of this market to certain extent. Today, the most common practice model in oral surgeons care is the standard solo practice with three-plus operators’ and a lean clinical-support staff. The smaller general-practice model generates roughly $225,000 to $300,000 in gross billings. Gross for the larger general practice ranges from $475,000 to $550,000. Mid-range operations gross between $350,000 and $425,000. General expenses in this traditional model typically run from a low of 50 to 55 percent to a high of 65 to 70 percent. The norm is 60 to 65 percent. USA: The U.S. Oral surgeons Practice industry has proven to be quite resilient throughout the economic recession, having registered positive revenue growth each year from 2002 to 2010. In 2010, U.S. oral surgeons practices recorded a collective $107.6 billion in revenue, up 1.8 percent from the prior year, driven primarily by continued favorable demographic trends, improvements in technology, and heightened consumer awareness of the importance of oral hygiene to overall health. Industry revenue is forecast to reach $130.0 billion by 2016, representing a compound annual growth rate (CAGR) of 3.2 percent from 2010 to 2016. The market for oral pathology is growing steadily. It is expected to reach approximately USD 22 billion by the end of 2022. 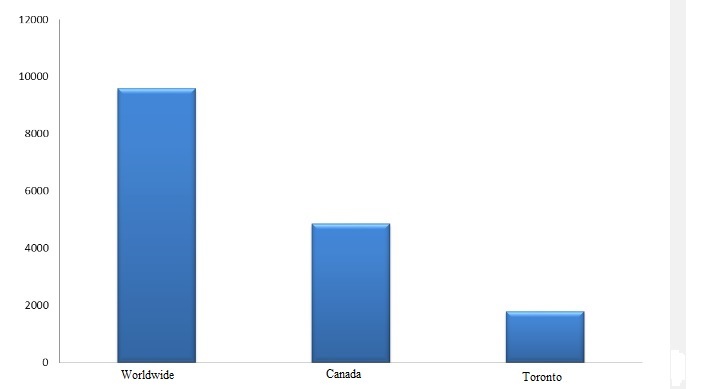 Canada: The Dentists business displayed slight development over the five years to 2017 because of increments in persistent appearances and private area spending on dental administrations. As dental workplaces get expanded financing through the private division, industry administrators depend on less on open protection repayments, profiting industry income. With per capita extra cash developing amid the period, dental practices have needed to secure fewer repayments from medical coverage suppliers contrasted and the general medicinal services area. Over the five years to 2022, the expanding elderly populace will change socioeconomics in Canada and, subsequently, goad interest for helpful, corrective, periodontal and orthodontic care, boosting industry income. 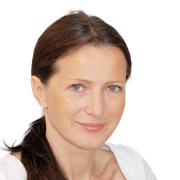 Europe: Europe is likely to be the largest market for oral surgeons laboratories in terms of revenue during the forecast period. However, Asia Pacific is anticipated to outperform Europe from 2015 to 2023. The European oral surgeons equipment market was estimated at USD 1.6 billion in 2014 and is projected to reach USD 2.40 billion by 2020 at a CAGR of 7 % during the forecast period from 2014 to 2020. 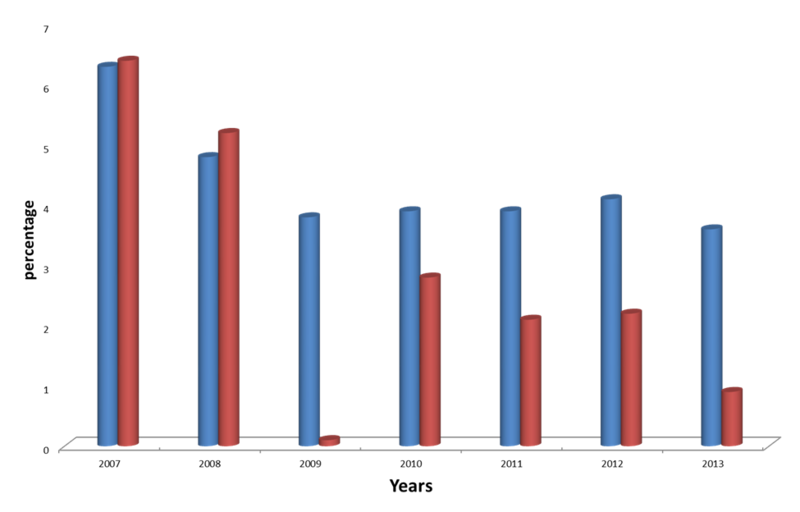 Asia Pacific: Asia-Pacific oral surgeons equipment market was estimated at USD 2.4 billion in 2016 and is projected to reach USD 3.8 billion by 2021 at a CAGR of 9 % during the forecast period from 2016 to 2021. This report looks at the overall modernized pathology showcase over the figure time of 2017 to 2018. The business area was evaluated at $250.2 million of every 2013 and is required to reach $437 million by 2018, creating at a CAGR of 11.8% from 2017 to 2018. Oral surgeons growth factor products currently offered to the U.S. market in 2016 were GEM 21S®, INFUSE®, Osteocel®, and Emdogain™. Over the forecast period, a number of additional growth factor combinations are expected to enter the tissue engineering product market. In 2005, the FDA approved the release of BioMimetic’s GEM 21S®, the first growth factor matrix approved for oral surgeons use. The product has since gained traction and received the CE mark approval to enter the European market in 2012. In late 2006, Medtronic’s INFUSE®, a growth factor containing bone graft product, was also approved for oral surgeons use. Tissue engineering products are often employed in combination with bone graft substitutes. Certain products cater to a specific need; for that reason, the various growth factors in the market are not viewed as complete substitutes or directly in competition with one another. Oral surgeons’ growth factor and tissue engineering products is a broad category that encompasses products used for facilitating and enhancing bone regeneration. This includes growth factors and enamel matrix protein solutions. Platelet-rich plasma (PRP) is also used for these purposes. We gratefully thank all our wonderful Speakers, Conference Attendees, Students, Media Partners, Associations and Sponsors for making PROSTHODONTICS-2018 Conference the best ever! The 3rd International Conference on Prosthodontics & Restorative Dentistry, hosted by the Conferenceseries LLC Ltd was held during April 16-17, 2018 at Las Vegas, Nevada, USA based on the theme “Dentistry that makes you smile". Benevolent response and active participation was received from the Organizing Committee Members along with Scientists, Researchers, Students and leaders from various fields of Dental Science, Dentistry, who made this event a grand success. 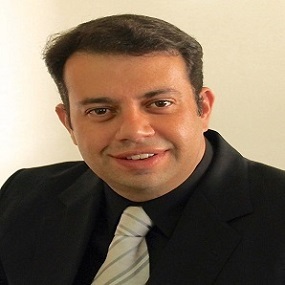 Conferenceseries LLC Ltd expresses its gratitude to the conference Moderator, namely Dr. Naghme Talakoub for taking up the responsibility to coordinate during the sessions. We are indebted to your support. Similarly we also extend our appreciation towards our Poster judges namely, Dr.Vilas Sastry. Conferenceseries LLC Ltd offers its heartfelt appreciation to Canadian Dental Association British Dental Association, American Dental Association, American Dental Education Association, British Dental Health Foundation, Kuwaiti Dental Society (USA), and other eminent personalities who supported the conference by promoting in various modes online and offline which helped the conference reach every nook and corner of the globe. Conferenceseries LLC Ltd also took privilege to felicitate the Keynote Speakers, Organizing Committee Members, Chairs and Exhibitor who supported this event. All the papers presented at Prosthodontics-2018 have been published in the proceedings of the Journal of Dentistry With the grand success of PROSTHODONTICS-2018, Conferenceseries LLC Ltd is proud to announce the " 4th International Conference on Prosthodontics & Restorative Dentistry" to be held during April 08-09, 2019 at Toronto, Canada.